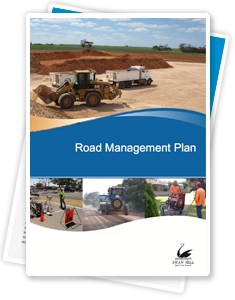 Swan Hill Rural City Council’s Road Management Plan outlines how Council manages their responsibility for roads and other road related infrastructure across the municipality. It outlines how roads are maintained and response times for the repairs of defects, such as potholes and uneven footpath surfaces. The purpose of the plan is to establish a management system for Council, for the responsibility of its duty to inspect, maintain and repair its public roads based on policy and operational objectives as well as available resources and community needs. In accordance with the Road Management Act 2004 and the Road Management (General) Regulations 2016, Council reviewed and adopted the Road Management Plan at the 27 June 2017 Council meeting. Under the Road Management Act 2004, Swan Hill Rural City Council must keep a register of public roads, showing the roads Council is responsible for.